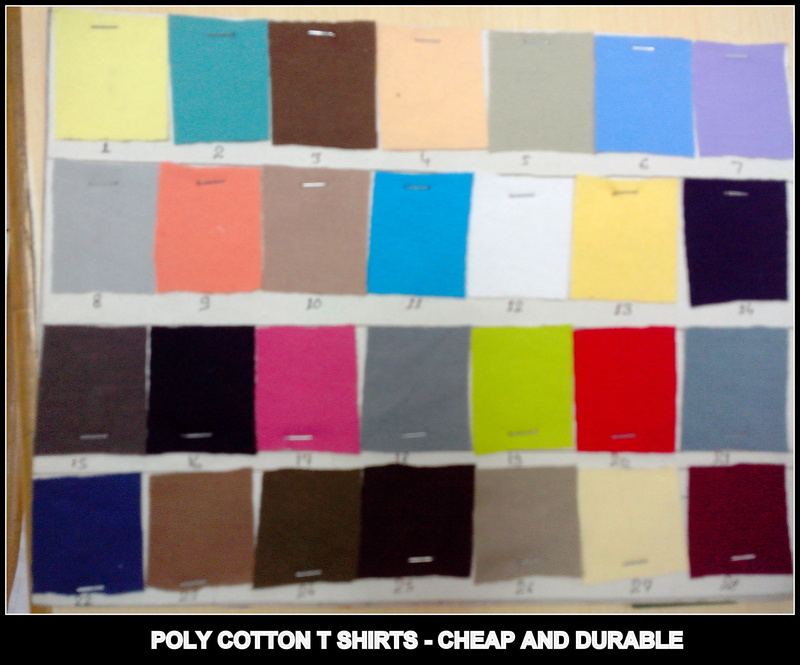 Corporate T Shirts in Chennai – Poly cotton – At discount prices !! RSM Uniforms maintains 28 colors of poly cotton T-shirts recommended for corporate companies that are not only durable but also are cost friendly to your pocket. For more enquiries on Poly-Cotton T shirts get in touch with us at http://www.chennaiuniforms.com or call us at 9176634635. You can also send mail directly to us at rahulrpatni@gmail.com.